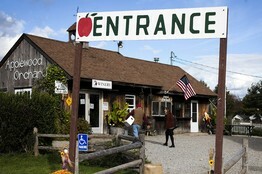 Rondout Valley's last working commercial orchard. STONE RIDGE, N.Y.—Elizabeth Ryan knows the ax could fall on Stone Ridge Orchard any moment. The sweeping 117-acre property that she has rented and operated for the past five years is for sale, its cresting hills and thousands of crooked, fruit-heavy trees at risk to be razed by the first approved buyer. Applewood Orchards and its winery in Warwick, N.Y.
New York state is the second-largest producer of apples in the country, but in recent years orchards have struggled economically. 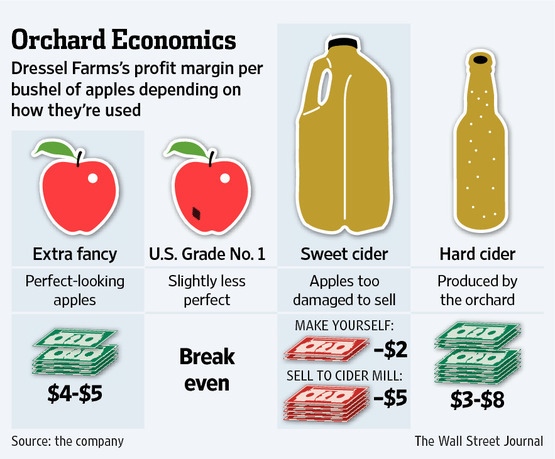 For some apple farms, cider could potentially turn a money losing part of the business into a profitable one. Now, like many apple growers, Ms. Ryan is looking in part to an unlikely savior: hard cider. Ms. Ryan has raised $1 million to buy the farm herself, she said. The centerpiece of her proposal: a 10-acre French-style cider orchard and tasting room, featuring apple varieties that are difficult to find in the U.S.
"We see this as a chance to reinvent the Hudson Valley," said Ms. Ryan, who will create about 10,000 cases of cider this year, in multiple styles. 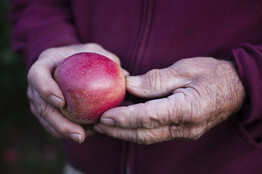 New York state is the second-largest producer of apples in the country, but in recent years orchards have struggled with unpredictable weather patterns, development pressures and increased regulations, especially regarding labor. By some measures, the Hudson Valley has been especially vulnerable. Between 2002 and 2007, apple acreage in the area shrank by 14% and the number of apple orchards dropped by 25%, according to an analysis of the most recent agricultural census by the Glynwood Center, a nonprofit organization dedicated to promoting agriculture in the region. 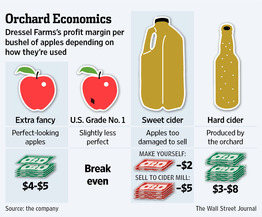 Some growers are turning to hard cider. 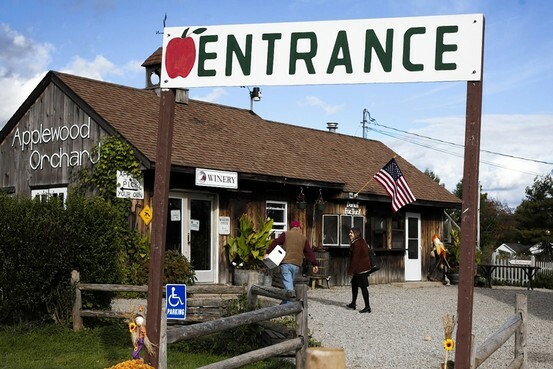 Nearly two dozen cideries now operate in the Hudson Valley, up from 11 five years ago, and plans for several more are under way. Even more producers operate under a wine license because of a state regulation that considers cider a wine if it is more than 7% alcohol (under 7% requires a cider license). The State Liquor Authority declined repeated requests for comment. The change has been spearheaded by Glynwood, which has identified the production of cider and apple spirits as a top strategy for preserving orchards and generating new economic development opportunities. "It seemed like a natural fit," said Sara Grady, who is leading the project for Glynwood. Last year, Ms. Grady invited a handful of local cider and apple spirit makers to participate in an exchange program with producers in Normandy, and she is organizing a Hudson Valley Cider Alliance, which will include a new "cider route" to mirror the local wine trail. This week, those producers are coming together for the second annual Cider Week, which will be held in New York City through Sunday. Last year, there were 100 participating retailers; this year the number has nearly doubled. 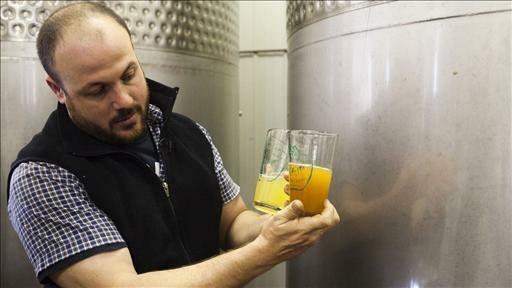 The goal is to become "the Napa Valley of cider," said Andrew Brennan, who received his license last year and now produces a line called Aaron Burr cider in upstate Wurtsboro. "We should be and will be, I believe, nationally and world-renowned as a premier cider region." Many apple growers have been receptive to the message. "We're always looking for ways of weatherproofing our season," said Dan Wilson, who founded Slyboro Cider House in Granville in 2007 and recently signed a deal to distribute his product in New York City. Selling hard cider "helps us to even out our cash flow through the year and gives us more on farm diversity, too," he said, noting that previously the majority of visitors had been families. "It allows us to attract a little different demographic." This year Mr. Wilson doubled his production to 2,500 cases, and he has plans to plant 3.5 acres of hard cider trees in 2014 capable of producing 10,000 gallons of cider. The growth in New York reflects a national trend. Since 2007, sales of domestically produced cider have more than tripled to a projected $601 million this year from $178 million, according IBIS World, a market analyst firm that analyzes the beverage industry. Sales rose 43% in 2011 and are expected to soar 56% this year. Though cider still remains only a fraction of the alcoholic beverage industry, in the past year companies such asAnheuser-Busch InBev and Boston Beer Co., the maker of Samuel Adams, have entered the market with their own lines. But across the country's apple-growing regions, including in the Northwest, a growing number of artisanal producers see more potential for cider, which began as a popular colonial beverage but faded in the U.S. during prohibition. It is a versatile drink that can offer the dry elegance of wine, or become a quaffable (and gluten-free) barroom alternative to beer. Cider producers point to a growing locavore food culture and note the purity of a beverage crafted exclusively from locally grown apples. Because the aesthetics of cider apples are irrelevant, farmers can spend less time and money spraying pesticides to maintain flawless skins. It also offers orchards a potentially lucrative option for apples that have been damaged by weather and previously would have been sold at a loss or thrown away. The owner of Stone Ridge, Dan Hauspurg, originally intended to operate the orchard himself when he bought it nearly 15 years ago, investing about $1 million in upgrades, he said. But erratic weather wiped out large swaths of his crop three out of the next six years. Mr. Hauspurg said he explored his own development concept before deciding to sell. The price is currently $1.78 million. Without hard cider, an orchard can "have a hailstorm ruin 95% of your apples and you have no income that year," said Tim Dressel, who founded Kettleborough Cider House this year on his family's orchard. "Can you think of any other business that operates that way? It's crazy." The 27-year-old Mr. Dressel is one of several new cider-makers who grew up on orchards and returned to carve out their own piece of the family business. After learning about the Alliance, Jonathan Hull decided to try expanding a small cider line he had produced since the mid-1990s at Applewood Winery in Warwick, next to his family's orchard. Quickly, he signed a distribution deal and this month his new line, called Naked Flock, will be available in New York City. "It just seems like lately it's exploding," said Mr. Hull, who started the business with $1,600 in a garage that has become the tasting room. "It's just a dream I couldn't even have imagined a couple of years ago." —Pervaiz Shallwani contributed to this article.